Owing to their unique plasmonic, magnetic and surface properties, silica-coated metal nanoparticles (SCMN, e.g., silica-coated gold, silver, platinum, iron and nickel, etc.) are widely utilized in energy and biomedical applications ranging from photovoltaic to cancer treatment. However, the scalable production of these structured nanomaterials at industrially relevant scales has been a long-standing challenge due to the intrinsic complexity involved in the chemical encapsulation of metal nanoparticles, limiting their market penetration. This seminar focuses on the recent progress made in the use of electrospraying method toward the high-volume production of SCMN without the need for surface functionalization of the metal nanoparticles prior to encapsulation, exemplifying novel fluid interface control strategies as new pathways toward scalable manufacturing of structured crystalline nanomaterials. Dr. Zhao received his bachelor’s degree in Mechanical Engineering (2011) at Shanghai Jiao Tong University with emphases in Mechatronics and Automation, master’s degree (2013) at University of Wisconsin-Madison on microsensors for in-situ monitoring systems, and Ph.D. degree (2017) at University of California, Los Angeles, with a focus on scalable manufacturing of metal nanomaterials. Upon graduation, Dr. Zhao immediately joined Western New England University to establish the Advanced Manufacturing and Materials Processing Laboratory, which conducts basic and applied research targeting fundamental challenges in manufacturing. 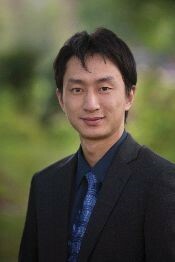 Dr. Zhao’s current research focus is on the establishment of novel manufacturing processes, theoretical models, computational methods, and control strategies for the high-volume production of structured nanomaterials and advanced sensors.